Page of the Colliget Mss. Averroes's Portrait Page of the Colliget Mss. Muslim Spain has produced some of the brightest intellectual luminaries of the Middle Ages. One of them was Ibn Rushd known in the West as Averroes, who is universally aknoweldge as the great philosopher of Islam and one of the greatest of all times. George Sarton in his introduction of history of science said that " Averroes was great because of the tremendous stir he made in the minds of men for centuries. A history of Averroism would include up to the end of the sixteenth-century, a period of four centuries which would perhaps deserve as much as any other to called the Middle Ages, for it was the real transition between ancient and modern methods." He was born in Cordova, the metropolis of Moslem Spain in 520 A.H. (1126 C.E.). Both his father and grand father were prominent judges. His family was well known for scholarship and it gave him fitting environment to excel in learning. He studied religious law, medicine, mathematics, and philosophy and (according to Leo Africanus) he was a friend of Avenzoar, the great Moslem clinician. He studied medicine, philosophy and law from Abu J'afar Harun and from Ibn Baja (1138) and he learned 'Fiqh' (Islamic jurisprudence) from Hafiz Abu Muhammed Ibn Rizq. Like his father and his grandfather, he too became a judge, first in Seville and then Cordova, though his main love was philosophy. Supposedly, one night over dinner, he entered into a discussion with Almohad prince Abu Ya'qub Yusuf over the origin of the world and the nature of the mind. 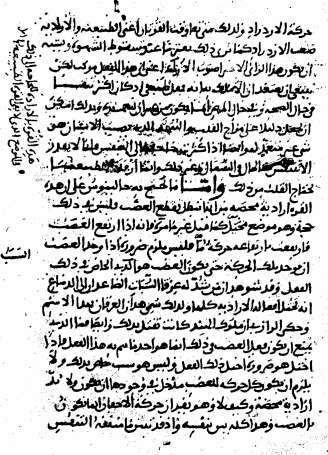 Averroes' ruminations on Aristotle's account of existence and the nature of the soul so impressed the ruler that he commissioned Averroes to write an entire set of commentaries. A few years later the prince appointed Averroes as his personal physician; under his auspices, Averroes spent the rest of his life writing commentaries on virtually all of Aristotle's works, producing detailed and original reconstructive commentaries on Aristotle's Metaphysics, Physics, Posterior Analytics, De Caelo, and De Anima, as well as Plato's Republic. Ibn Rushd was appointed a judge (Qaadi) in Seville at the age of forty-four. That year he translated and abridged Aristotle's book "de Anima" (Animals). This book was translated into Latin by Mitchell the Scott. Two years later he was transferred to Cordova, his birthplace where he spent ten years as judge in that town. During those ten years Ibn Rushd wrote commentaries on the works of Aristotle including the Metaphysics. He was later called back to Marrakesh to work as a physician for the Caliph there, before his return to Cordova as Chief Judge. A careful examination of his works reveals that Averroes was a deeply religious man. As an example, we find in his writing, "Anyone who studies anatomy will increase his faith in the omnipotence and oneness of God the Almighty." In his medical and philosophical works we see the depth of his faith and knowledge of the Qur'an and Prophetic traditions, which he often quotes in support of his views in different matters. Ibn Rushd commented that Islam aims at true knowledge, which is knowledge of God and of His creation. This true knowledge also includes knowing the various means that lead to worldly satisfaction and avoidance of misery in the Hereafter. This type of practical knowledge covers two branches: (1) Jurisprudence which deals with the material or tangible aspect of human life and (2) the spiritual sciences which deal with matters like patience, gratitude to God, and morals. He compared spiritual laws to medicine in their effect on human beings physically on one hand, and morally and spiritually on the other. He pointed out that spiritual health is termed 'Taqwa' (righteousness and God-fearing) in the Qur'an. Ibn Rushd made remarkable contributions in philosophy, logic, medicine, music and jurisprudence. Ibn Rushd's writings spread more than 20,000 pages, the most famous of which deal with philosophy, medicine and jurisprudence. He wrote 20 books on medicine. His most important work Tuhafut al-Tuhafut was written in response to al-Ghazali's work. Ibn Rushd was criticized by many Muslim scholars for this book, which, nevertheless, had a profound influence on European thought, at least until the beginning of modern philosophy and experimental science. His views on fate were that man is in neither full control of his destiny nor it is fully predetermined for him. He wrote three commentaries on the works of Aristotle, as these were known then through Arabic translations. The shortest Jami may be considered as a summary of the subject. The intermediate was Talkhis and the longest was the Tafsir. These three commentaries would seem to correspond to different stages in the education of pupils; the short one was meant for the beginners, then thintermediate for the students familiar with the subject, and finally the longest one for advanced studies. The longest commentary was, in fact, an original contribution as it was largely based on his analysis including interpretation of Qur'anic concepts. Professor Bammate in his booklet "Muslim Contribution to Civilization" quotes Renan: St. Thomas Aquinas was "the first disciple of the Grand Commentator (i.e., Averroes). Albert Alagnus owes everything to Avicenna, St. Thomas owes practically everything to Averroes." Professor Bammate continues: "The Reverend Father Asin Palacios, who has carried out intensive studies of the theological Averroism of St. Thomas and, in no way classifies Averroes with Latin Averroists, takes several texts of the Cordovan philosopher and compares them with the Angelic Doctor of (St. Thomas). The similarity in their thought is confirmed by the use of expressions similar to that of Ibn Rushd. It leaves no room for any doubt about the decisive influence that the Muslim Philosopher (Averroes) had on the greatest of all Catholic theologians. Among his teachers in medicine were Ali Abu Ja'lfar ibn Harun al-Tarrajjani (from Tarragona) and Abu Marwan ibn Jurrayul (or Hazbul, according to al-Safadi). Ibn Rushd's major work in medicine, al-Kulliyyat ("Generalities"), was written between 1153 and 1169. Ibn Rushd requested his close friend Ibn Zuhr to write a book on al-Umur al-juz'iyya (particularities, i.e., the treatment of head-to-toe diseases), which he did, and called his book al-Taisir fi 'l-muddawat wa 'l-tadbir ("An Aid to Therapy and Regimen"). 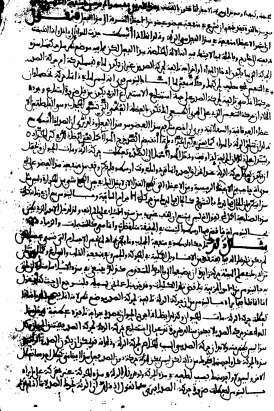 Ibn Rushd's al-Kulliyyat and Ibn Zuhr's al-Taisir were meant to constitute a comprehensive medical textbook (hence certain printed Latin editions present these two books together), possibly to serve instead of Ibn Sina's al-Qanun, which was not well received in Andalusia by Abu '1-,Ala' Zuhr ibn Abd al-Malik ibn Marwan ibn Zuhr (Ibn Zuhr's grandfather). Ibn Rushd wrote a talkhis (abstract) of Galen's works, parts of which are preserved in Arabic manuscripts. He showed interest in Ibn Sina's Urjuza fi 'I-tibb ("Poem on Medicine," Canticum de medicina . . . ), on which he wrote a commentary, Sharh Urjuzat Ibn Sina. Another revised Latin translation was made by Andrea Alpago, who translated Ibn Rushd's Maqala fi '1-Tiryaq ("Treatise on Theriac," Tractatus de theiaca). Ibn Rushd's unsuccessful attempts to defend philosophers against theologians paved the way for a decline in Arabic medicine. The great image of the Hakim (physician-philosopher), which culminated in the persons of al-Razi and Ibn Sina, has been superseded by that of faqih musharik fi ''l- ulum (a jurist who participates in sciences), among whom were physician-jurists and theologian-physicians. Because Ibn Rushd'frame as a physician was eclipsed by his frame as a philosopher, his book Kitab al-Kulyat fi al-Tibb stands no comparison to 'Continents' of Rhazes and 'Canon' of Avicenna. Averroes wrote a commentary on Avicenna's poem Canticum de Medicina (translated into Latin by Armengaud). and also mentioned the Philosophia Orientalis of the latter. The German physician Max Meyerhof remarked that: "In Spain, the philosophical bias predominated among medical men. The prototypes of this combination are the two Muslims, Ibn Zuhr (Avenzoar) and Ibn Rushd (Averroes). His book on jurisprudence 'Bidayat al-Mujtahid wa-Nihayat-al-Muqtasid' has been held by Ibn Jafar Zahabi as possibly the best book on the Maliki School of Fiqh. Ibn Rushd's writings were translated into various languages, including Latin, English, German and Hebrew. His commentary on zoology is entirely lost. Ibn Rushd also wrote commentaries on Plato's Republic, Galen's treatise on fevers, al-Farabi's logic, and many others. Eighty-seven of his books are still extant.